I believe that eventually, digital currencies will become reserve currencies and all governments, institutions, and major asset managers, including pension funds, will allocate funds into cryptocurrencies. We can presently see evidence of this trend. For instance, Sweden already advocates an e-krona backed by Riksbanken, Sweden’s central bank. As you know, we at IAP usually pursue a very conservative investment approach and thus would certainly not recommend any speculative investment in Bitcoin. Nevertheless, many of our clients would like to gain some experience in investing in the currency. I believe it is important to protect these clients from fraudulent Ponzi-style schemes; they are completely unregulated despite existing as cryptocurrencies. 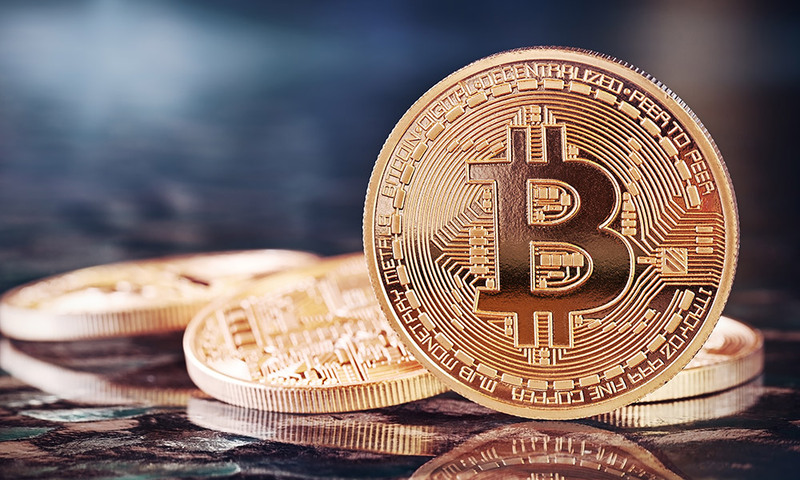 While a quick search on the Internet will find you any number of useful Bitcoin guides, we at IAP feel our customers’ interests merit a review from our firm. In March of 2017, a proposal for a Bitcoin exchange traded fund by the Winklevoss twins was rejected by the U.S. Securities and Exchange Commission. Bitcoin Investment Trust’s shares are the first publicly quoted securities solely invested in and deriving value from the price of Bitcoin. The ISIN is US09173T1088. Bitcoin are stored with Xapo Inc., as custodian, in deep cold storage vaults and the annual fee is 2%. There are other vehicles that track a variety of cryptocurrencies. Among others is Cryptos Fund, a regulated fund that passively tracks the CCI30 — the Crypto Currencies Index, made of the 30 largest Cryptocurrencies. There is also a Bitwise HOLD 10 Private Index Fund that holds the top 10 cryptocurrencies weighted by market cap and rebalanced monthly. The management fees for this fund are 2.5%. There are a few other vehicles such as Token Fund which is an unregulated platform that actively manages a variety of digital assets. Moreover, there are also quite a high number of hedge fund-type structures. Last but not least, CME will be launching BTC Futures trading early December, 2017. In July, 2016, Vontobel became the first Swiss issuer to offer a tracker certificate on Bitcoin. The ISIN is CH0327606114 and the TER of the product is 2.5% p.a. Leonteq also offers a tracker certificate (AMC) on Bitcoin. It is important to note that their term sheet states that any loss resulting from fraud, theft, or cyber-attacks relating to hedging parties or reference sources of the issuer will be sustained by the investors. The ISIN is CH0366634902 and the TER of their product is 0.50% p.a. Similarly, clients of Falcon Private Bank can store and trade Bitcoin via their cash holdings through a partnership with brokerage service Bitcoin Suisse. The bank received the approval to do so from FINMA, the Swiss Financial Market Supervisory Authority. Swissquote currently also offers trading in Bitcoin. The transaction costs range from 0.5% to 1%. At the time of writing, they were not yet included in the asset overview. It is therefore not yet certain whether cryptocurrencies will be regarded as currency, asset, or commodity in this case. They may become their own asset class. As outlined in their Terms and Conditions, note that Swissquote cannot not be held liable for any cause or claims for the loss of bitcoins. Crypto Fund AG are said to plan the launch of a not-listed fund for qualified investors. In my view, it does not quite make sense that traditional vehicles are used to track the performance of a single digital currency. Digital currencies should be disrupting the industry. They should be secure, efficient, and easy to receive, buy, hold, store, sell, or transfer. The traditional vehicles and products only exist as Bitcoin itself have a number of caveats. Transactions using cryptocurrencies are not convenient. Globally, as of right now, there are fewer than 500,000 transactions per day. These transaction numbers are very low when compared to Visa, for example, which handles an average of 150 million transactions every day, or PayPal, which processed a total of 1.9 billion transactions in Q3 2017. Presently, calculating the fees per transaction is not simple. Proposed changes to Bitcoin’s blockchain are currently being tested and will potentially allow for faster, less expensive transactions. One of the biggest flaws in using bitcoin is that transactions cannot be reversed and there is no threshold system. For instance, USD 3.6 billion are held by only two Bitcoin addresses. One of the Bitcoin addresses is owned by Bitfinex, an exchange trading and currency-storage platform based out of Taiwan. In 2016, Bitfinex was hacked and $72 million in Bitcoins was stolen from its customers. The private key —the 256-bit security number that allows Bitcoin to be spent — needs to be always protected so it cannot be compromised or stolen. At least Bitcoin addresses starting with the number 3 require multiple signatures before they can be spent. Unless you want to buy an actively-managed cryptocurrency fund or trade leveraged Bitcoin financial products, I would suggest buying Bitcoin directly. Contacting us for more detailed guidance is a good place to start if you are considering a Bitcoin purchase. The weakest links when dealing with cryptocurrencies are the exchanges. Other companies exchange fiat money for Bitcoin and then back again. In the short history of digital currencies, many exchanges have been hacked. You can mitigate your risk by transferring your bitcoins to hot digital wallets (online, desktop, mobile), paper, or — better yet — cold hardware wallets (offline). As a safeguard, I would advise against storing more than USD 50,000 in any exchange or hot wallet.